NEW YORK (WABC) -- The Knicks could find themselves in a tough position as the season evolves. They have found their next superstar, Kristaps Porzingis. 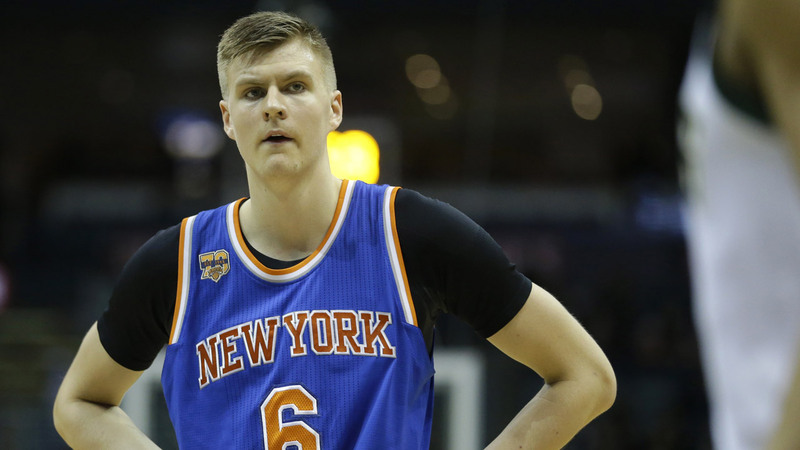 The 7-foot 3-inch tall Latvian has made Knicks fans forget about Carmelo Anthony already. Porzingis is averaging 30 points a game and his long range shooting ability and flying dunks has brought Madison Square Garden back to life. But here is the problem, Porzingis is not built physically for an 82-game NBA season. He already had to sit out a game in Orlando with a bum ankle and elbow. The worst thing the Knicks could do is to keep playing the big guy night after night for nearly 30 minutes. He will break down and worse yet he could develop injuries that could kill a career. Just ask, Yao Ming, the 7 foot 6 Chinese center who had his career cut short by foot injuries. The up and down pounding on an NBA player will take its toll. The Knicks will be far better off to cut down on games and minutes for Porzingis at this point in his career. The Knicks are not ready to make a run at an NBA title, they need to make sure their franchise player is healthy when they finally are.